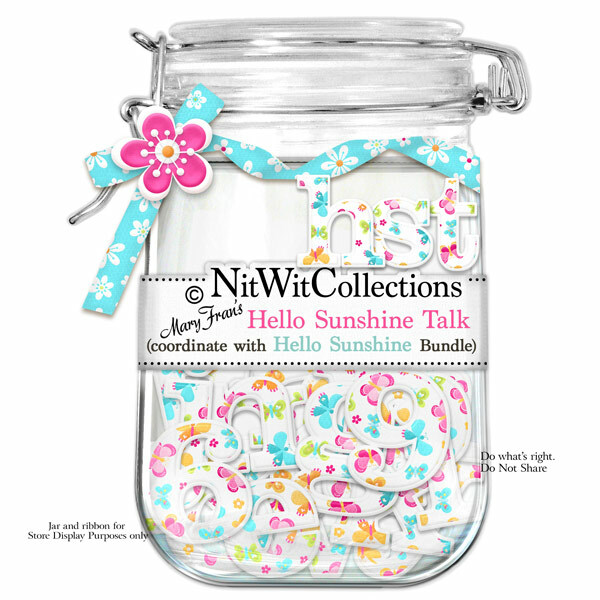 "Hello Sunshine" Talk is brightly coloured with the butterfiles flitting about. What's that they're saying?? Use this alpha with lightness in your heart! This Alpha colour coordinates with our FQB "Hello Sunshine" Collection.